A project concerned with augmenting human action and/or perception, this is an exploration of interactive feedback in the context of high-bandwidth, continuous and real-time human signals — whether gesture, speech, body movement, or any other measurable property or behavior. You will develop, e.g. a gesture processor, a drawing program, a transformative mirror, an audiovisual instrument, or some other system which allows a participant to experience themselves and the world in a new way. 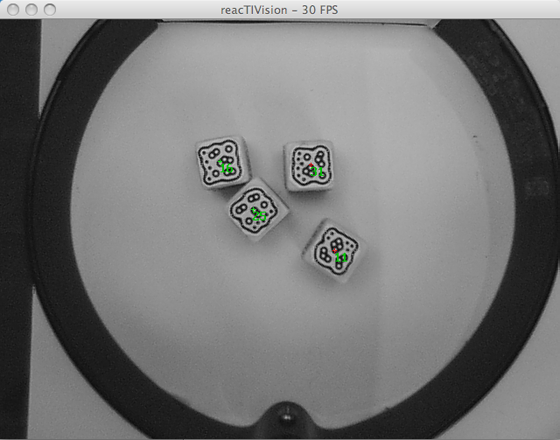 OpenCV is an open source computer vision library used by researchers, artists, robots, game companies, etc all over the world. There are bindings for almost all creative media arts toolkits around. 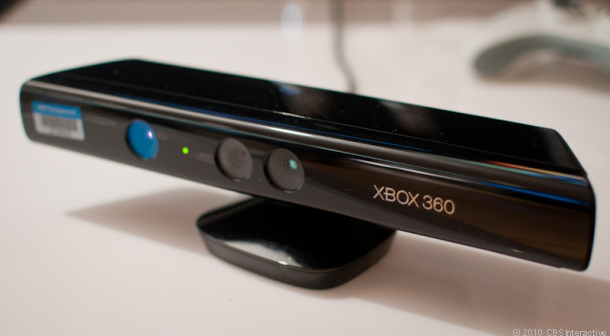 The Microsoft Kinect is a cheap, commercial depth sensing camera. You can get both a RGB image and a 3D depth map out of it. 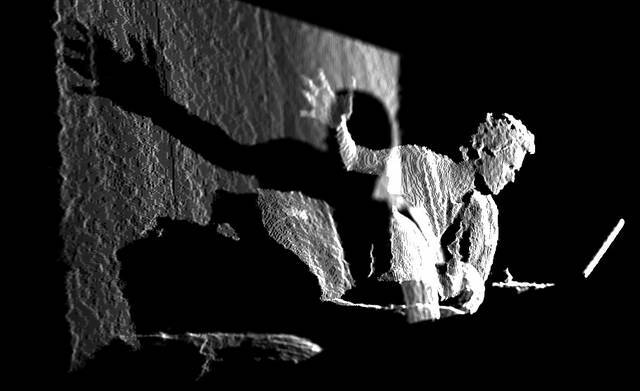 Some libraries can use this depth map to track people via abstracting them into simplified skeletons. 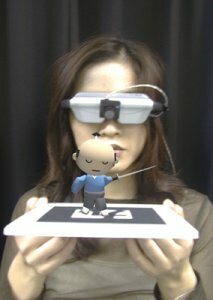 The Augmented Reality toolkit is a library for finding and tracking image markers as well as providing a 3d transform for drawing content to fit over the marker. You will need to use the markers provided with the libraries. 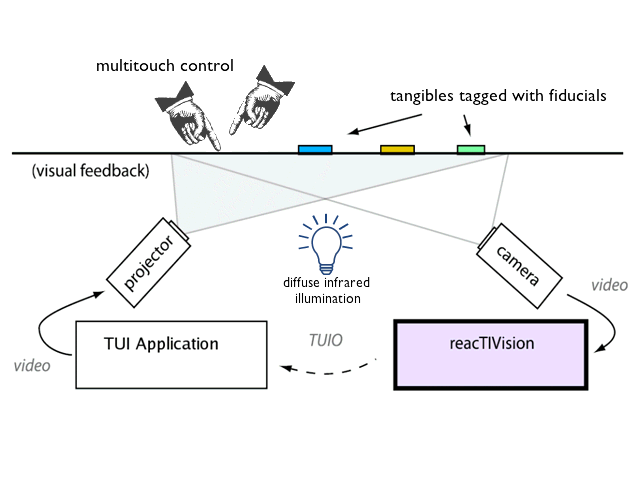 Reactivision is the fiducial marker tracking application that streams the marker info using the TUIO protocol via OSC. It was developed for the ReacTable project and is 2D only since it’s optimized for use with an IR camera and projector mounted underneath the projection surface. The markers are then attached to objects and placed facing down on the projection surface. See the Reactivision page for the app and plenty of examples and templates for Processing, OF, Max, Pure Data, etc. 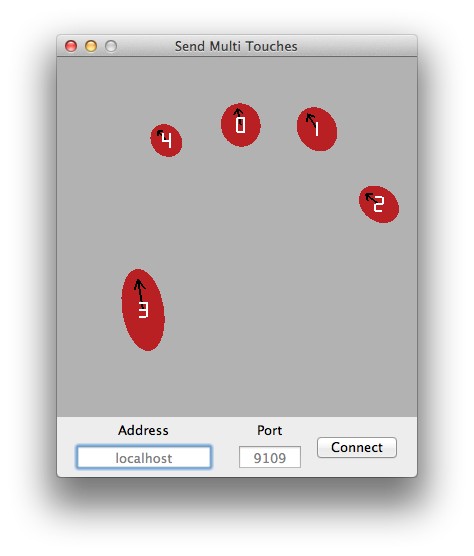 A project from IACD 2012, Duncan Boehle’s SendMultiTouches is a small Mac-only app that streams multitouch data from a MacBook trackpad via OSC. Examples for Flash, Processing, and Pure Data are included.